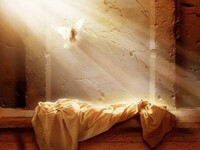 "That I may know Him, and the Power of His Resurrection........". The Apostle Paul penned these words from a Roman dungeon to believers in the city of Philippi some 2000 years ago. What did Paul mean by "the power of His Resurrection"? How can an event that occurred 2000 years ago effect my life today? What is "the Power of the Resurrection" and how can it work in my life?